After making wine for several years with the help of a hoist for lifting the carboys, I discovered the vacuum pump. Once i got it in operation i would be hard pressed to live without it. At 73 years I had both knees replaced and am unable to lift any thing over 25lbs. Well the vacuum pump took care of that problem as I can rack the wine from carboy to carboy without lifting at all. 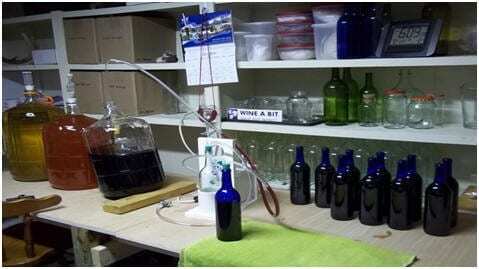 Bottling has become the easiest part of wine making, get the 30 bottles ready set up the pump with the carboy on the floor and start to bottle. I find it takes half the time to bottle, as it did before the pump. The service I got from Steve was unreal regardless what the question was, he was there to help. I had an issue with the valve I let Steve know and there was a new one in the mail the next day. I recently bought an all in one pump and also a filter system. I used it to rack, degas, bottle and filter 8 , 6gallon carboys of wine. It could not have worked any better. My wine is better than it ever due to the degassing and filtering that I was able to do with the system. Just not having to lift full carboys made it worth the price. I can’t wait to use it again. Good job Steve! I ordered my allinonewinepump and so far i think it is the best piece of equipment in mywine room. Light and quiet. Easy to set up and use. All connectors and instructions included. It is definately the perfect labor saving device for my operation. I have only used the pump to rack and degass so far but wow!!. Racking while degassing !! No more stirring or hand pumping for me thats for sure!! Just wanted to post up regarding the wine pump and the customer service I’ve received. Before, I would not be looking forward to racking or transfering because of the mess and work. 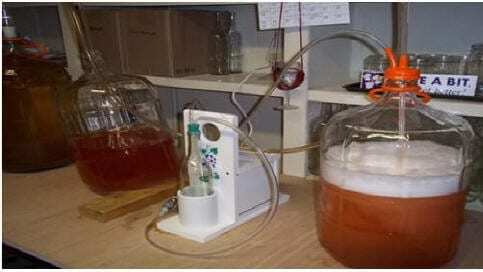 With the pump it goes a lot quicker, there is less mess and quicker cleanup and don’t have to risk hurting my back lifting carboys. In case you can’t tell, I’m now a fan! The first time I used it I had a few questions so I sent Steve a PM on this forum. He quickly responded back with the answers and asked for my phone number so he could call me just to make sure I wasn’t having any further problems – this was over a Sat night and Sunday. Can’t think of ANY company I’ve ever dealt with that offered customer service that good. Max thumbs up for this product!! I ordered and received my allinonewinepump just last week. It is, by far, the best peice of equipment in my Lab. Light and quiet. Easy to set up and use. All connectors and instructions included. For less than $200, this was a perfect labor saving device for a one-man operation like mine. Bottling was a breeze! I sat on a stool and filled bottles at my leisure. It took alittle practice to get the level right, but once I got the hang of it, the bottling was over in a few minutes. And because it is a vacuum pump, I only had to clean a few pieces of tubing when I was done. Awesome! I didn’t take a picture of this, but last night I racked a 6 gallon carboy of Gwuerztraminer. I degassed using the pump only. I racked it under vacuum back and forth between two carboys, four times. After fining, it was clearer this morning than anything else I have on hand. Astounding! I think some of my cloudy wine issues have come from ineffectual degassing. If the maintenance free oiless pump continues to work smoothly, I’ll give this two thumbs up, and recommend it to anyone who runs a small single family wine making operation. Thanks very much to our own vacuumpumpman! I also own an All-in-One Wine Pump and LOVE IT! Steve is great to talk to and very thorough. I considered his product for quite a while before I bought it. He and I chatted off/on about recommendations I had–and he included many of them..especially concerning his website. He was beneficial in making sure I had everything connected properly..being I am not the most mechanically inclined individual. I mean I can connect suction setup for a patient with chest tubes, but ask me to do it for my wines and I get all googly-eyed! I have racked, degassed and bottled. Now that I have my “household” filter system setup, I will be filtering with my next bottling run. SO very simple. And for a female who makes wine on her own, and has had neck and back surgery—the All In One makes my life so much easier. I encourage you to take the plunge and purchase the product. Steve is just an email and/or phone call away. There is no gimmick. This is what he does.